A Report by Redwald OR If I’m honest, no doubt like many others, I considered Profession rather early on in my OR ‘apprenticeship’. Being pretty eager regarding new challenges, I have often tried to run before I can walk. Sometimes this enthusiasm has paid off, and other times I’ve ended up taking on a bit too much for my own good. Indeed, my wife is often telling me that I do too much... and I nod, smile and tell her that my greatest fear is to be lying on my death bed regretting not having done more. 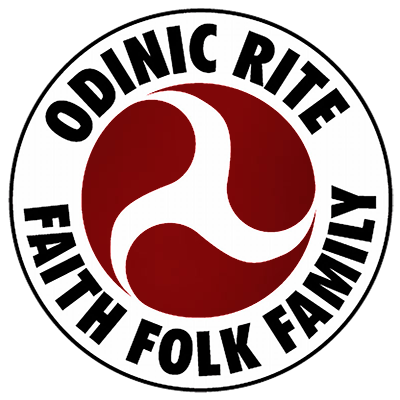 Our ancestors were not just warriors - in fact many people mistakenly believe Odinism to be purely a warrior religion. Although there is a strong warrior aspect to Odinism, one of the key areas in which our ancestors thrived was in agriculture. Do you need a star for your tree? Or just need some lovely straw stars for your tree? Keeping with the traditional straw crafts of Scandinavia, the star below is simple enough for kids, yet complex in their lovely design. By Mark Puryear Our religion is an ancient ethnic heritage, for our folk, which emphasizes the importance of true cultural diversity and respect for all peoples. With that said, it seems odd to me that any of us would then turn around and challenge the progress of our movement by attacking any parallels to Christianity we may find in our research.